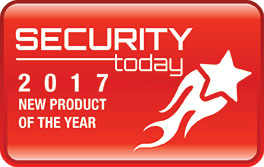 DALLAS – Aug. 21, 2017 – Security Today magazine has named Razberi CameraDefense™ the 2017 New Product of the Year Award winner in the new Cyber Defense Solutions category. With winners in 40 categories, the awards program “honors the outstanding product development achievements of security equipment manufacturers whose products are considered to be particularly noteworthy in their ability to improve security” according to Security Today. CameraDefense is a cybersecurity solution that protects IP cameras and networks by automating and scaling industry best practice cyber protections. Embedded into Razberi ServerSwitchIQ™ appliances, Razberi CameraDefense helps security leaders automate the hardening of hundreds or thousands of IP cameras across an enterprise. It enables best practices such as white listing, password management, and device binding, and it firewalls off cameras from threats. 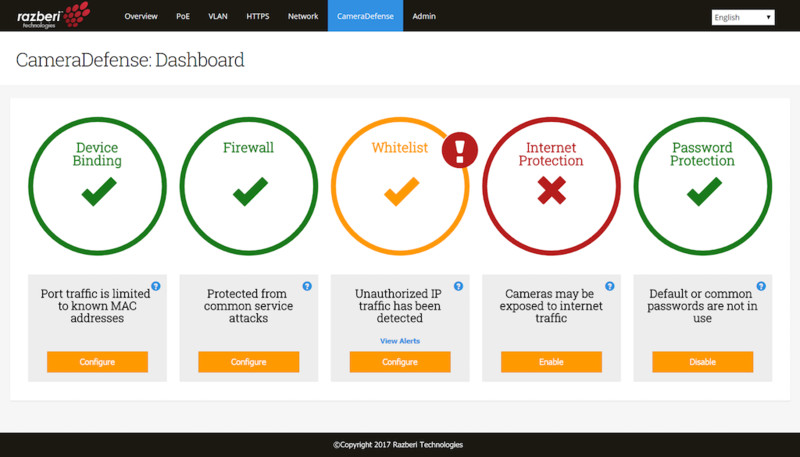 A simple dashboard alerts integrators and end users to potential vulnerabilities or threats. In addition, a secure architecture with Razberi appliances deployed at the edge separates the camera network from the business network with independent network interfaces and a confi­gurable VLAN. Integrated, AI-enabled virus and malware protection powered by CylancePROTECT® software guards the video management system (VMS) by predicting known and unknown attacks. Winners will receive awards and be recognized at ASIS International 2017 in Dallas, Sept. 26-28. Razberi will be exhibiting in booth 3870.